Rev up promotions with a stylish personalized stylus pen! 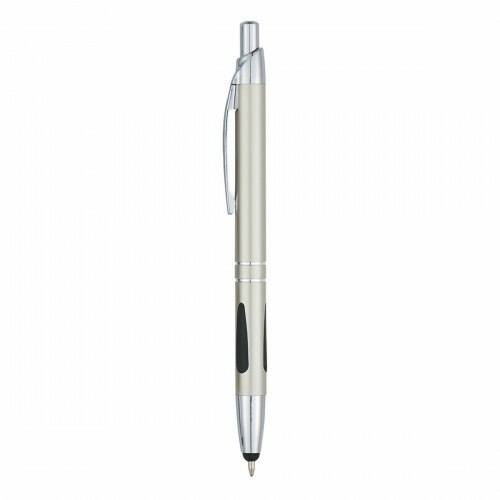 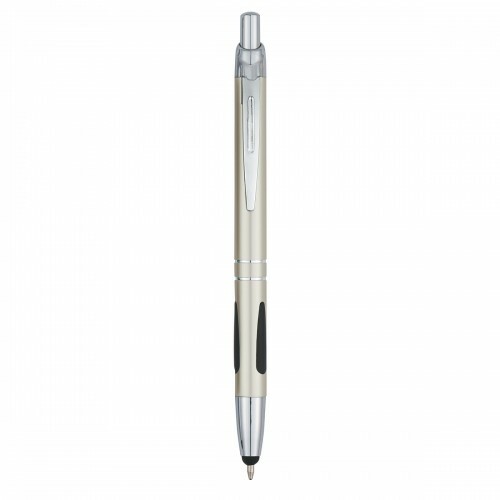 This aluminum custom pen does double duty with the added convenience of a built-in stylus. 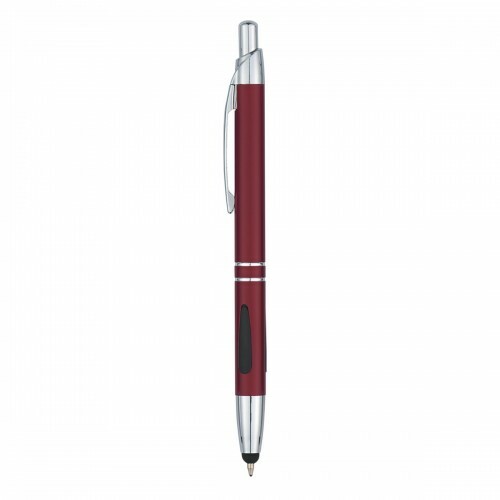 The stylus is located at the end of the pen and is always present when not in use. 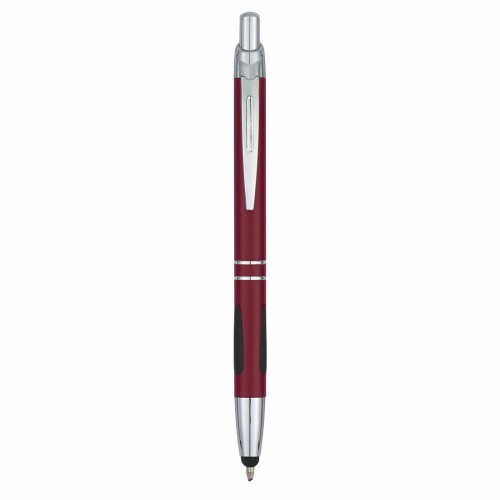 To use the pen, simply push down on the plunger and then again to retract the ink and use the stylus. The black rubber grip provides a more comfortable writing experience. 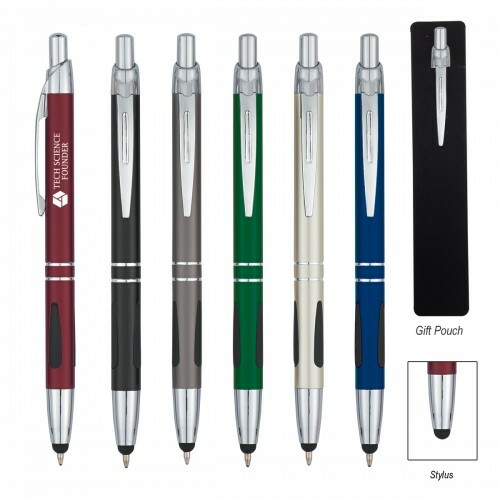 Available in Blue, Black, Burgundy, Green, Gunmetal or Silver, this great looking promotional pen arrives in a black gift pouch and is perfect for gift giving. 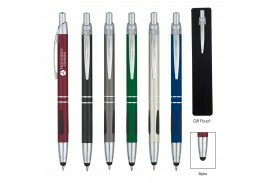 Colors: Blue, Black, Green, Burgundy, Gunmetal or Silver.